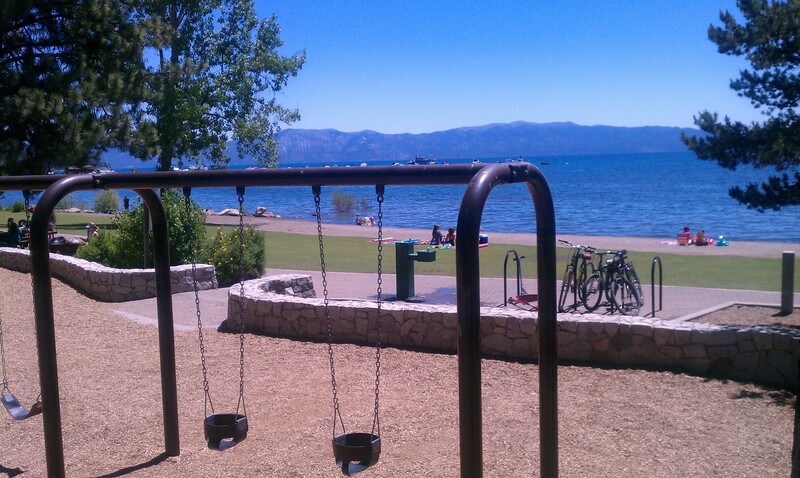 Commons Beach is a great spot for the entire family. 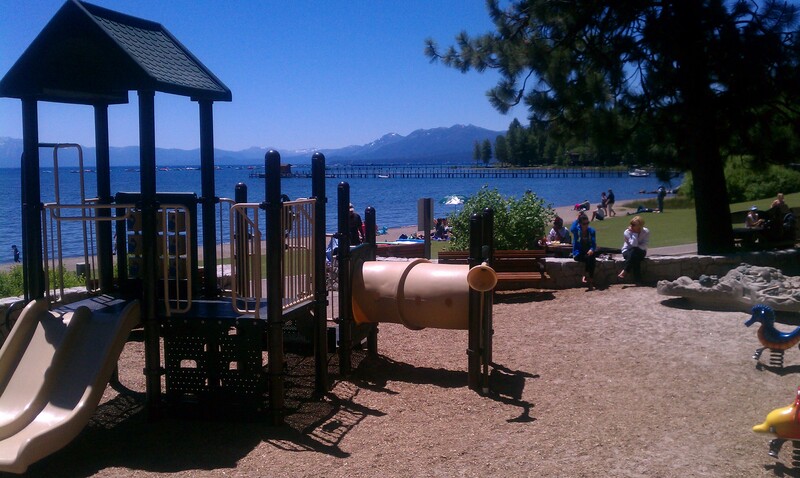 This four-plus-acre park is located on the lake in downtown Tahoe City. Commons Beach is popular for sunbathing, swimming and picnicking. 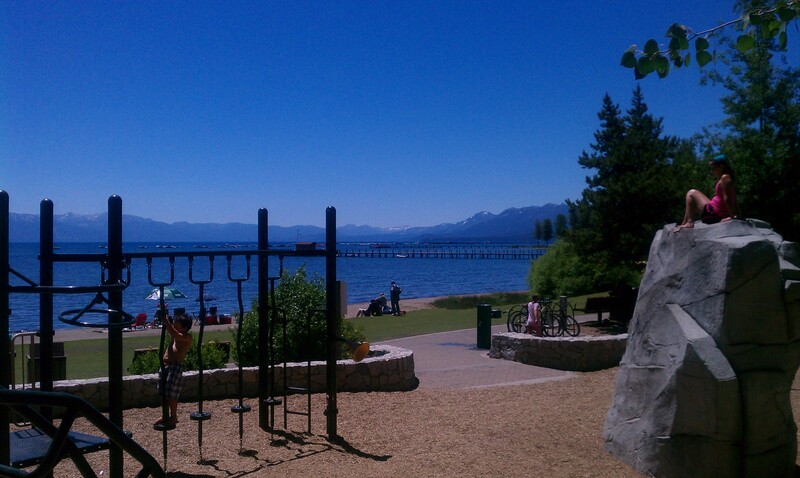 Group picnic sites and children's playgrounds are located within a large lakefront grass and sand area. The park boasts a group barbecue area that can accommodate up to 75 people and an amphitheater that will seat another 65. 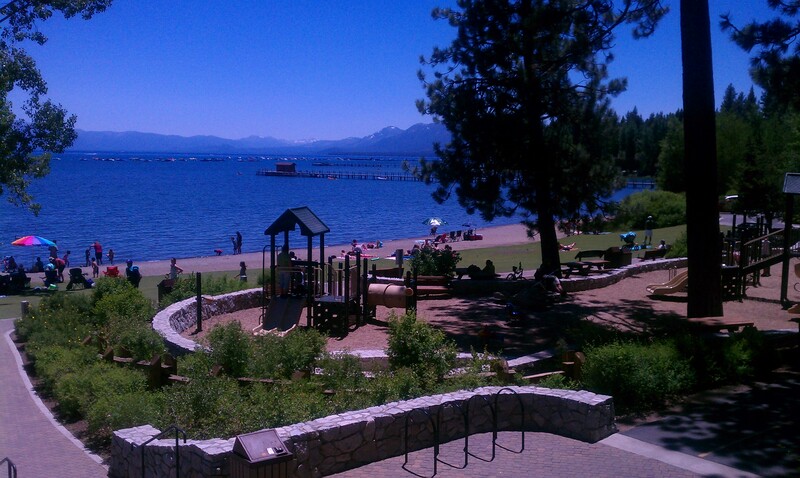 Each of these areas and other outdoor venues are available to rent through the Tahoe City Public Utility District. In the summer, Commons Beach is the home of FREE Concerts at Commons every Sunday afternoon and FREE Movies on the Beach every Wednesday night. A great family spot. The beach is open dawn to dusk. Local ordinances prohibit pets at the park and beach. PET OWNERS: Pets are permitted only on dog-friendly beaches. Use a bag to pick up after your pet, and use a leash. Protect your pet's privilege to share the beach! BOATERS: Aquatic invasive species are a very serious threat - completely clean, drain and dry your boat before launching it at Tahoe. THE COAST GUARD AT TAHOE: The station near Tahoe City operates 24 hours a day 7 days a week. Call 9-1-1 in an emergency and give the name of this beach! SHOW YOUR LOVE FOR LAKE TAHOE - BUY OR RENEW A LAKE TAHOE LICENSE PLATE: Over 96% of the funds from Lake Tahoe license plate purchase and renewal fees support lake access, hiking and biking trails, and other important projects in the Lake Tahoe basin. 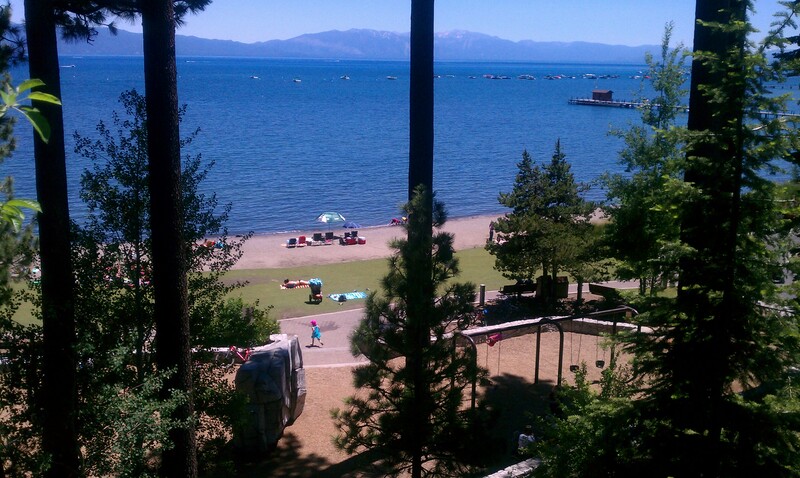 Lake Tahoe plates start at $50 in CA and $61 in NV in addition to your usual annual registration fees. Visit www.tahoefund.org or call (800) 510-8246 for more information.